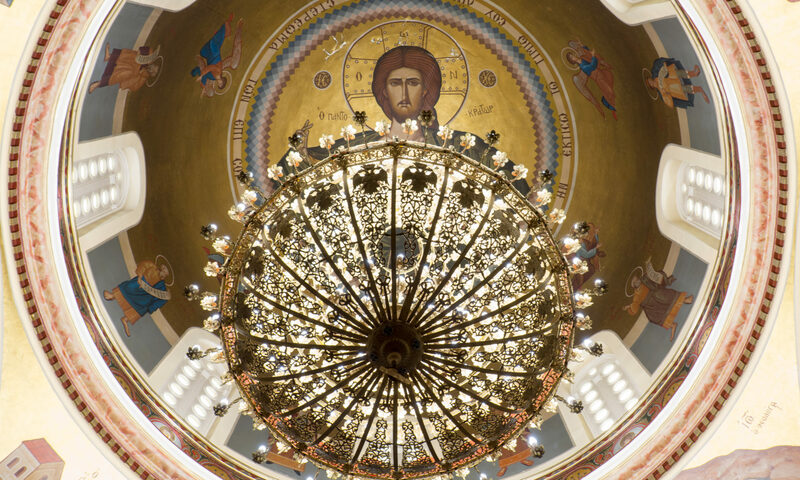 Father Evagoras Constantinides was assigned by His Eminence Archbishop Demetrios of America on November 1, 2018 to serve as the Dean of the Saints Constantine and Helen Greek Orthodox Cathedral of Brooklyn. 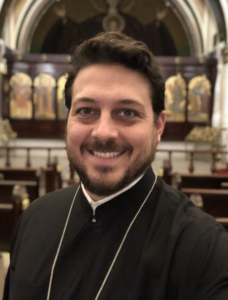 Father Evagoras also serves as the Director of Ionian Village, the Archdiocesan summer camp located in Greece. Since 2011, Father Evagoras has presided over a complete renaissance of the Ionian Village program, with registration numbers reaching 20-year highs and the program completely reinvigorated. Father Evagoras holds a B.A. in Communication Studies from Monmouth College in Monmouth, Illinois and a Master of Divinity from Holy Cross Greek Orthodox School of Theology. His wife Maria (Calender), of Bethesda, Maryland, is an active part of his ministry and together, they have two sons, Christopher and Yianni Andrew.